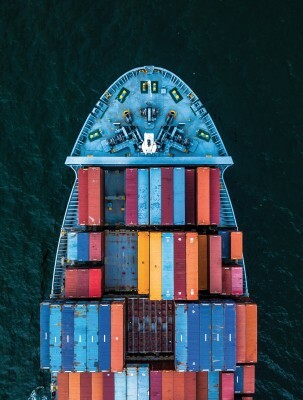 Last-mile solutions (LMS), a key aspect of modern supply-chain management is gaining in relevance, while also changing and expanding its meaning, as the FMCG industry continues to evolve, placing ever-greater importance on sustainability, digital solutions and delivering real value. The traditional understanding that LMS is merely the journey from a retailer’s distribution centre (DC) to the store is too simplistic of an explanation of LMS. LMS combines merchandising, promotions tracking, platform design and a holistic supply-chain approach. LMS must serve the interests of all stakeholders—manufacturers, retailers, wholesalers, consumers and the environment to be most effective and sustainable. The challenge of reaching consumers is constantly evolving and accommodates changing consumer preferences, living patterns, technology, retail strategies and a growing social and environmental consciousness. As such, LMS is intimately affected by the trends in the supply-chain management industry, while also helping shape these trends. It is the LMS area where most of the current challenges and costs affecting the supply chain are felt. This is especially apparent when looking at on shelf availability, store replenishment, promotional management and product display. In tandem with this has come a trend towards smaller pack sizes, echoed by my colleague Helen Lane, Vice President for CHEP Northern Europe, who reports a move back towards High Street convenience stores away from big-box stores, as household sizes shrink, and people shop little and more often. Besides this, shoppers in the UK and worldwide are beginning to take an omnichannel approach. The days of the big monthly shop may be numbered, as consumers embrace a wider suite of shopping options, buying from convenience stores, wholesalers, as well as local and international online stores. Online shopping itself has various manifestations, with different implications for the supply chain. An online purchase can be fulfilled by staff that pick in-store at a regular supermarket, or at a retailer’s purpose-built “dark distribution centres” for fulfilling e-commerce purchases only. Then, there are “pure-play” online stores like Ocado in the UK, which only offer online shopping. Supply chains for all of these online solutions must be optimised to ensure on-shelf availability and in-time shelf replenishment. While online shopping is yet to fully develop in South Africa as it has in the UK, it is an indication of things to come. But innovation is no less creative in SA. There are exciting developments in pallet and other distribution platform designs that can allow attractive, practical new-generation smart platforms to move from the distribution centre direct to store and be installed in the aisle ready for display—saving on packing costs and efficiency. With new-generation platforms and pallets, embedded promotions-tracking technology works hand in hand with LMS solutions, monitoring various metrics that ensure the product is in the right place at the right time, in the right condition and optimising value. Proximity Marketing - When a shopper enters a store of which they have the app downloaded and they come within Bluetooth range, the platform will be able to send relevant push notifications to shoppers about available promotions at the right time. Tracking—It provides real time product visibility, showing the tracker whether the product is in store or at the DC. Product Quality—It tracks the condition of the product, by monitoring humidity, temperature etc. A holistic understanding of value will also mean ensuring the sustainability of all supply chain solutions. Here the “share and re-use” principles of the circular-economy approach are particularly relevant. In the circular economy, platforms can be shared by fractional customers, and reused by others, making customer supply chains more efficient in terms of cost and use of natural resources. Where platforms need not be sold to customers, but can be rented as required, waste is minimised and efficiency grows. Transport collaboration ensures trucks or pallets are optimally utilised, “closing the loop” to reduce empty kilometres. Each of these tactics requires a holistic approach to supply-chain management. Even last mile solutions cannot be limited to the last mile. They require a broader approach, that needs to be integrated from the middle mile all the way through to the last mile, and involving manufacturers and retailers, as well as their logistics service providers. 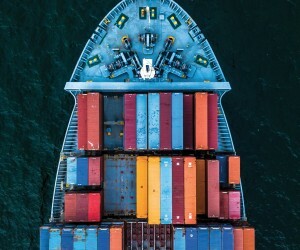 Such an understanding of supply chain logistics can mean efficiency wins for all role players and the environment, as we gain a better understanding of consumer preferences and use innovation to deliver these as effectively as possible to the benefit of all of us – and for generations to come.